Freshmen Ella Frazier and James Mathwig, Sophomores Hailee Fields and Kyler Hall, Juniors Lacie Baldwin and Dallen Maynard, Seniors Hailey Dean and Tristin Seitz, Seniors Jenilee Morgan and Kyle White, Seniors Claire Butcher and Casey White, Seniors Jadyn Shipman and Micah Tuggle, Seniors Makayla Howard and Mason Mollohan. 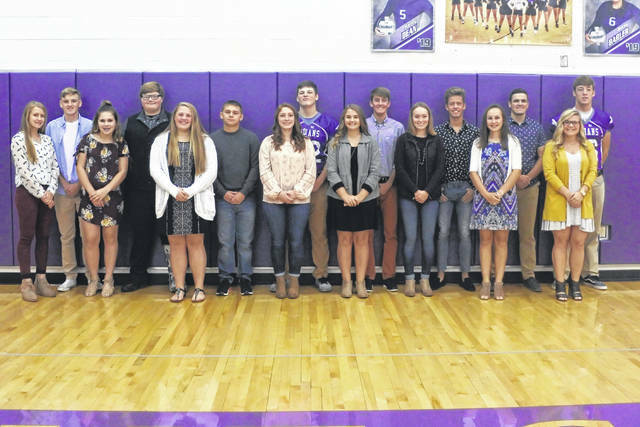 Mount Gilead’s Homecoming ceremony will take place Friday, Oct. 5 at 6:30 p.m. with the introduction of the court and crowning of the 2018 Homecoming King and Queen. The game against the Centerburg Trojans kicks off at 7 p.m. The homecoming dance will take place Saturday, Oct. 6 from 8-11 p.m. at the high school. The dance is semi-formal, and all tickets must be purchased at the school ahead of time.